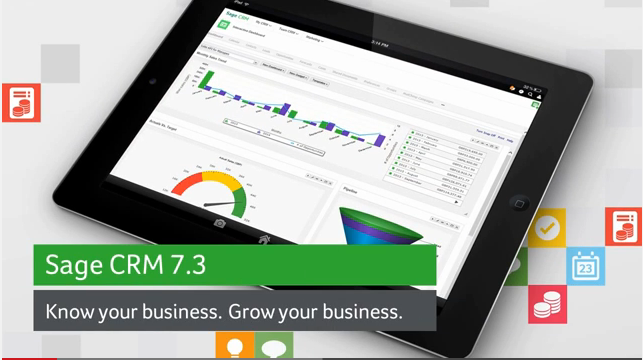 Sage CRM Version 7.3 comes packed with lots of new and exciting features. Designed for small and medium sized businesses, Sage CRM Version 7.3 helps accelerate sales peformance and drive productivity across your entire business. Why not play around with the software and let us know what you think.